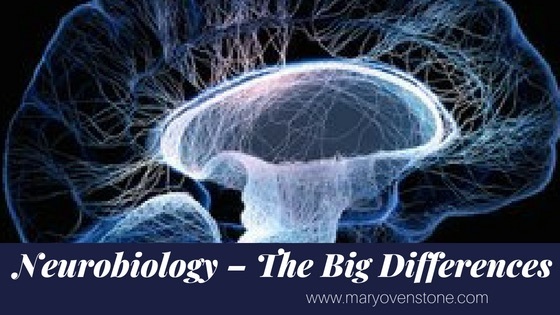 In my previous blog post I explained in short that neuroscientists have found that the 8% difference between the male and female brain has already generated over 100 differences with this number still growing as more and more research is done. It goes without saying that after 1000s of years of evolution, the male neurobiology was naturally adapted to hunting, farming, protecting and building, in essence, an outdoor way of thinking. As a result men have only ‘come indoors’, so to speak, en masse since the Industrial Revolution (1780 in Europe, 1860 in South Africa), but this change in the course of evolution is not a long time period. The history of female neurobiology is therefore naturally adapted to nurturing, educating and managing people and processes; these are the things that women continue to do at home or in the workplace.